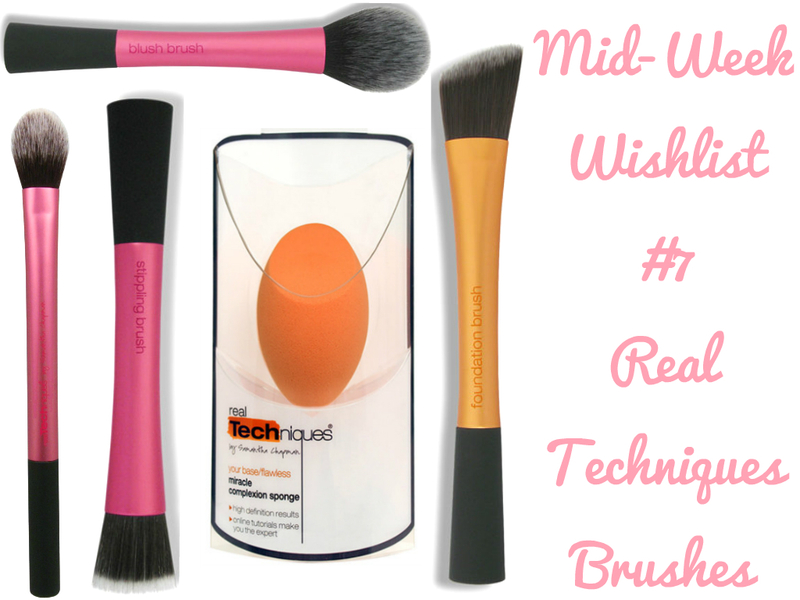 For today’s Mid-Week Wishlist I’m going to be sharing with you five Real Techniques brushes & sponges that I’d love to have in my collection and the reasons for this. I’ve always been a fan of Real Techniques as they’re such reasonable make-up brushes but of a good quality. I’d defiantly recommend these brushes for girls who are just starting to use make-up. This brush would be great for me as I’m currently really into blushes and I don’t actually have one particular brush which I use to apply my blusher. It’s a great brush to use for contouring and defining your cheeks so that they look amazing and photo ready. There’s no actual need for me to purchase this foundation brush other than wanting to test and try it out. I always think that you can never have too many foundation brushes as each one works in it’s own way to produce a different outcome. For example some brushes may produce a flawless look where as others may produce a more natural look. Once you have applied your foundation or BB Cream it’s always important to use a setting powder before using any blush or bronzer. I always use my Rimmel one and having this brush would make it so much easier as it’s a great size and can be used to apply your highlighter as well. I’ve heard that this brush is used when you want to get that airbrushed look without looking plastic. I’ve been wanting to try this brush ever since it came out as the bristles itself are soft and ultra-plush. It can also be used once you have applied your foundation to finish it off and not just to apply it in the first place. I’d love to purchase this sponge as I’ve heard many good things about it. It’s a great tool to use when applying BB Cream or a light foundation for example. Many people choose to use it to create the perfect base that they need before continuing their look. The design of the sponge allows you to use different parts of the sponge for different areas of your face. "Festival Themed Outfit by Blushing Beauty"